Known for its simplicity and elegance, Baccarat is one of the most popular games in Asian casinos today, surpassing even the Blackjack in the hit charts. 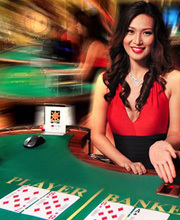 Reportedly, 70% of baccarat players in Las Vegas are Asian patrons. A game of choice among high rollers, the game has attained a somewhat exclusive reputation in the West, often enjoyed by the rich and famous in a roped-off area serviced by tuxedos-donning dealers. Also known as 21, Blackjack is another well-loved card game around the world and a "must-have" for any traditional or online casinos. The game was also originated in France, and legend has it that Napoleon enjoyed it more than any other card games. This is a game that requires some level of gaming skills on the player, and strategies have an influence on the outcome of the game, making it all the more thrilling and fun for advanced gamers. Roulette is actually not a difficult game to win, since many bet options offer you almost 50% chance of doubling your money. That’s probably the reason why it is still one of the most loved games, especially in Europe. Originated in France, the Roulette (which means little wheel in French) offers a sense of glamour, mystery and endless hours of fun and excitement to casino patrons over the years. 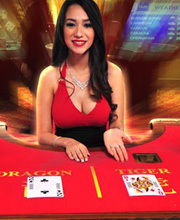 Sometimes referred to as the two-card version of the Baccarat, Dragon Tiger had its origin in Cambodia, and was eventually introduced as an online casino game. It is one of the simplest games to understand and to play, and while not the most popular in brick and mortar casinos, it has proven to be a favorite among many online players. Sic Bo is a classic three-dice game with strong Asian roots. Fast-paced and easy to play, it is the mainstay of Macau’s casinos and is probably the second biggest table there, after Baccarat. Also known as Tai Sai (Big Small) in Cantonese or Hi-loin the Philippines, Sic Bo is a game of chance, but with a house edge of between 2.78% and over 30%. Fan Tan is an ancient game originated from China. The game use buttons and bamboo stick. The croupier begins by putting a large number of little buttons in the center covering with a metal bowl. The croupier then removes 4 buttons at a time. Buttons are removed in this way until four or less buttons remain. If this final group has 3 buttons left then the bet on “three” wins. Fan Tan can be found at big casinos in Macau and Las Vegas due to its easy and fun to play nature. Se Die is a unique ancient game popular among the Asian community. The game uses four beads. A simple odd and even game that suits those who enjoy games of simplicity. Each bead has two colors, usually red and white covered with a bowl. For example the bet on “even” wins if there is two white and two red beads. 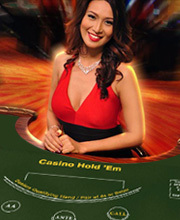 Casino Holdem is a poker variation of the popular Texas Holdem. The players in Casino Holdem play against the dealer, so position does not matter a lot. It is the poker hands held by players which are important. The game will start as soon as players have placed ante bets. After the bets have been placed, the dealer will give two cards to each player. Single poker or more known as Texas Holdem is the most prevalent poker variant that is played in the casinos in the United States. Recent trend shows that Texas Holdem is gaining popularity quickly in other parts of the world as well especially in the Asia region. If you enjoy playing poker, you will definitely enjoy Single Poker. 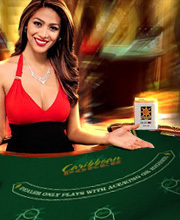 Also known as Caribbean Stud Poker is a popular American casino game. The players each place an ante and the players and the bank are dealt five cards each. The players will play against the bank. In addition there is usually a progressive jackpot into which a player can pay a fixed stake on each deal. Part of the jackpot is paid out to any player who is dealt a flush or better.